Today I returned once more to the city of Milton Keynes. I found myself wandering around the shopping centre in the hope that I may find a gift for the wedding reception I am attending tonight in nearby Bedford. Now I am no stranger to Milton Keynes. I grew up in Towcester which is a 25 minute drive away. For residents of Towcester, Milton Keynes is one of the closest options available for restaurants, shopping, work and activities. It is the “Cosmopolitan” option. And is one of very few places that has anything to do for those between the ages of 13-50. Unfortunately for those people, however, Milton Keynes is a horrifically cold and depressing city with zero personality and is just about as close-minded as Thatcher. Yes it is a financially successful city and many businesses are basing themselves there, but this does not make it a fruitful ground for human life. 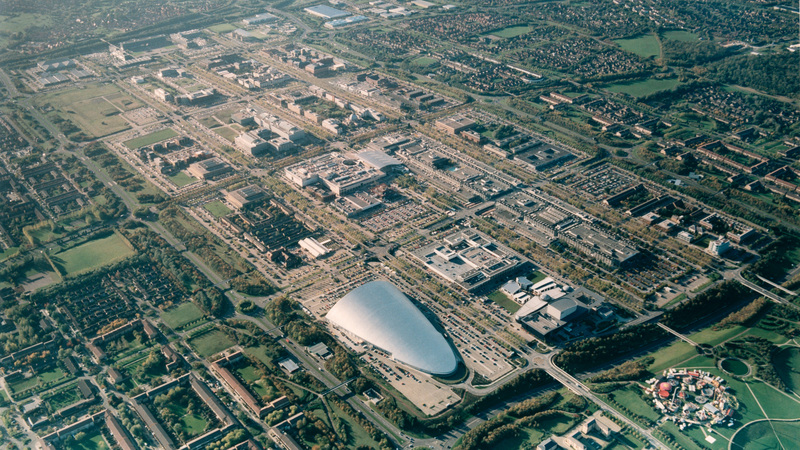 Milton Keynes is a prime example of a city where money comes first; it is made of concrete, digits and grey. There is no culture. People think “Chiquito’s” is healthy and that Rugby is high fashion. There is no hope for anyone who does not fit the consumerist system and who requires something more than what is on offer from High Street advertising. What I’m trying to say is that Milton Keynes is starved. You may feel confused and drained after a visit asking yourself whether or not the food you ate actually belongs to a food group – or whether you bought a useful product or just a slice of marketing. I found myself doing the same thing today, although I did manage to restrain myself from buying something for the sake of it. I was hoping to buy a candle for the couple; something that would be special and personal that I had chosen because of it’s unique and enticing fragrance, a treat, a bite of luxury indulgence. But I came to no such luck. As I trawled the vast and uninspiring department stores I fell short on hope. Each brand I came across was drab or fussy and smelt either like toilet cleaner or those luminous citrus polos from the naughties. The branding was so clearly marketed towards women and just helps to promote the hetero-normativity of the entire shopping centre defining men and women by outdated stereotypical views. I found myself without and unfitting in this environment. Even my cowboy hat and track suit combo was too much for most to handle. Eventually I left empty handed. There was not one candle worth purchasing in this vast Mecca of shopping. It is disappointing that such a large place with so many shops has such limited choice. I understand that in London we are in many ways spoilt for choice and I would of course have picked up a Diptyque, Comme or Le Labo candle before I’d left for the suburbs had I have been more organised. But it still seems such a shame that there is not one independent retailer or niche luxury brand in these places and that the overall direction is so 1 dimensional. Having had the opportunity to escape Milton Keynes and live somewhere else where I am inundated with new stuff and free to an extent to explore myself, (artistically, sexually and gender-wise), I empathise with those who are still living there and are confused as to the root of their unhappiness. If you are queer and in Milton Keynes then there is so little for you to take guidance and inspiration from. It may seem drastic that I am saying this all because I couldn’t find a candle but when you scratch the surface you see the beige-ity of it all. Something that appears small, such as a lack of choice in a shopping centre can give us a window into the core values that a city is breathing. Milton Keynes, you drain me. I feel sorry for my former self that you were all I knew. I hope London doesn’t turn itself into you under the new Conservative, money prioritising, consumerist government. Please look at yourself and ask what you are doing for the Human Race.